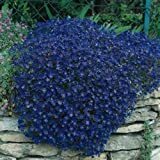 Aubrieta Blue emperor growing subshrub herbaceous of the genus Aubrieta also known as Rock cress, Aubrieta Blue emperor perennial evergreen or warm climate annual plant, used as ornamental ground cover plant, can grow in temperate, subtropical or mediterranean climate and growing in hardiness zone 4-10a (as perennial) 10b-12 (as annual). 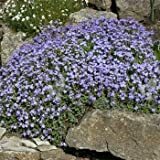 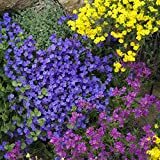 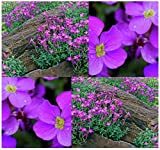 50+ Perennial Flowering Groundcover Seeds - Rock Cress - "Cascading Blue"
What is the best way to start growing? 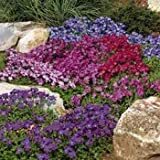 Is it necessary to use vegetative reproduction? 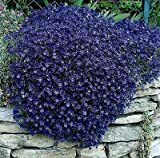 Is it possible to grow as houseplant?